The country-wide roll out of RAM’s innovative in-house mobile solution went remarkably smoothly. The enthusiasm of RAM’s drivers and couriers for the new handheld devices that provide for real-time tracking of all parcels resulted in a relatively painless implementation of the new system throughout the organisation. 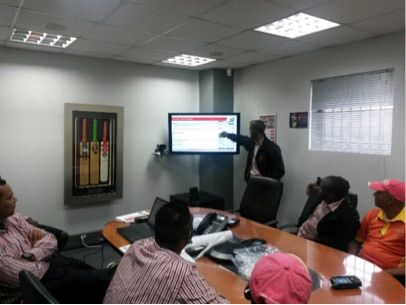 In what was dubbed the “Siya Vaya” (We are moving) launch, a team of trainers visited every branch and hub to explain the new system to the vehicle crews. There is no doubt that many were apprehensive about the introduction of the world-class technology and standards – but once they realised just how easy it was to master, they happily took the new handhelds on the road. As a result, the system is working really well and it has made a tangible difference to our ability to deliver unmatched service to every customer.